Looking for great apps at a fraction of their regular price? We’ve found 50 iPhone and iPad apps that are currently on sale. 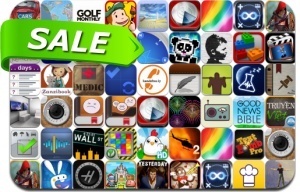 This app deal alert includes Another World, Chopper 2, Jazz: Trump's journey, Immix, Dungeon Village, Yesterday, Match Panic, Chicken Escape, Kung Fu Rabbit, Animation Studio, Hueless, Curious About Drawing, SunrizerXS Synth and many others.